NEW AcuTouch 9500 Ultimate Robotic Human Touch Home Massage Chair / Recliner + HEAT - Wirelessly control though your iPad, iPhone or iTouch. All features of the of the new AcuTouch� 9500 Massage Chair, and connect with users, access expert resources and feel better. Elevating and Extendable Robot Rotating Calf & Foot Massager footrest ottoman. Renewed AcuTouch 9500 Ultimate Robotic Human Touch Home Massage Chair / Recliner + HEAT - Wirelessly control though your iPad, iPhone or iTouch. All features of the of the new AcuTouch� 9500 Massage Chair, and connect with users, access expert resources and feel better. Elevating and Extendable Robot Rotating Calf & Foot Massager footrest ottoman. REFURBISHED STRETCHING HT-125 ROBOTIC HUMAN TOUCH MASSAGE CHAIR - Full-Body Stretching The calf massage wells will gently hold your legs as the chair reclines to arch your back and engage a gentle body stretching program with an active massage of your lower back. 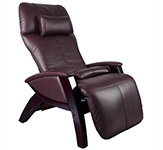 Luxurious Leather with Memory foam Seat cushions..
INCLUDES STANDARD SHIPPING - $999 - More Information. 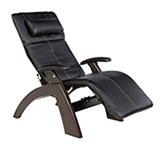 EKORNES STRESSLESS GOVERNOR AND SENATOR CHAIR LOUNGER - It is important to get the maximum level of comfort from your Stressless� Recliner. This is why Ekornes makes two or three sizes for a personalized fit for many different body types. You can swivel a full 360�. Both the recliner and the free-standing ottoman come with the Glide system which follows your body�s movement to provide perfect support and comfort. When it comes to comfort, fit matters. Your body will appreciate the difference - More Information. 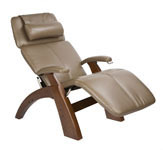 EKORNES STRESSLESS MEMPHIS AND SAVANNAH CHAIR LOUNGER - It is important to get the maximum level of comfort from your Stressless� Recliner. This is why Ekornes makes two or three sizes for a personalized fit for many different body types. You can swivel a full 360�. 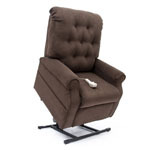 Both the recliner and the free-standing ottoman come with the Glide system which follows your body�s movement to provide perfect support and comfort. When it comes to comfort, fit matters. Your body will appreciate the difference - More Information. GENUINE FJORDS ADMIRAL LEATHER CHAIR RECLINER - It is an ergonomically designed chair that provides continuous support and comfort. It helps to prevent your legs and back from getting tired, relax your body and enable your blood to circulate more freely. It is designed to support your spine more correctly comfortably in the correct angle. Fjords utilizes cold cure molded foam in the seat, back, armrest and ottoman. Cast molded cold cure foam retains its suppleness longer than standard block molded foam in order to retain its durability and physical appearance. The unique gliding mountings that are built in to the chairs provide he best individual resting position. The weight of the body determines the chair position. - More Information. INCLUDES SHIPPING -$1399 - More Information. REFURBISHED STRETCHING HT-125 ROBOTIC HUMAN TOUCH MASSAGE CHAIR - Full-Body Stretching The calf massage wells will gently hold your legs as the chair reclines to arch your back and engage a gentle body stretching program with an active massage of your lower back. Luxurious Leather with Memory foam Seat cushions. Warranty Included. $1099 Including Freight Ground Shipping - More Information. REFURBISHED STRETCHING RED HT-135 ROBOTIC HUMAN TOUCH MASSAGE CHAIR - Full-Body Stretching The calf massage wells will gently hold your legs as the chair reclines to arch your back and engage a gentle body stretching program with an active massage of your lower back. Luxurious Leather with Memory foam Seat cushions. Warranty Included. $1199 Including Freight Ground Shipping - More Information. BRAND NEW STRETCHING RED HT-136 ROBOTIC HUMAN TOUCH MASSAGE CHAIR - Full-Body Stretching The calf massage wells will gently hold your legs as the chair reclines to arch your back and engage a gentle body stretching program with an active massage of your lower back. Luxurious Leather with Memory foam Seat cushions. Wood Armrests. $1999 Including Freight Ground Shipping - More Information. 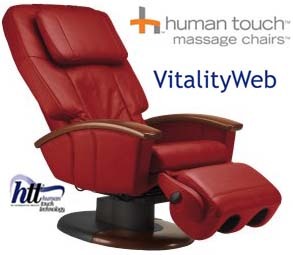 NEW HT-5270 HUMAN TOUCH HOME MASSAGE CHAIR with Body Scan Technology + Calf and Feet Massager - As one of the sleekest, most compact models we offer, the Human Touch� HT-5270 Robotic Massage� chair is the perfect fit for any space, and the perfect blend of form and function. INCLUDES SHIPPING - $1795 - More Information.